If you're a fan of word games, you've surely already played, or are currently gearing up to try, Words With Friends. 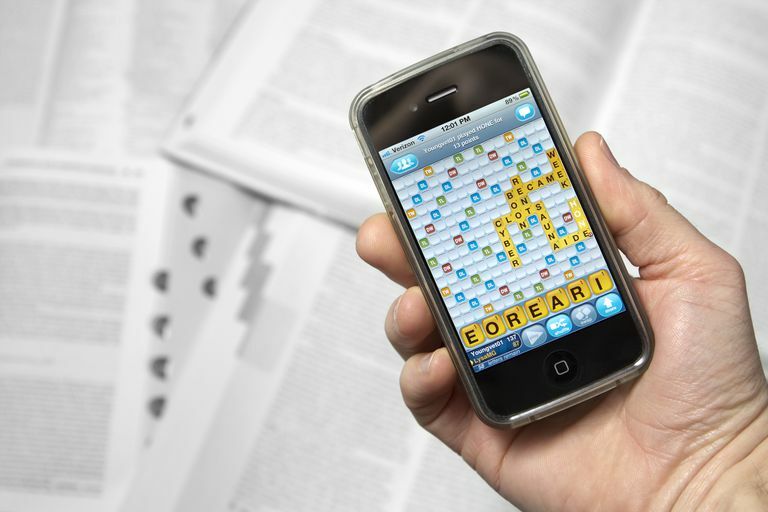 The Scrabble-like game for phones and tablets is extremely popular but carries its own set of rules and usable words compared to other word-based games. While not always easy to find, there are several hacks and cheats to get you to the top of the Words With Friends leaderboards in no time. Here are the best, easiest, and most-winning ways to cheat at Words With Friends. Depending on how you define legality for this game, this is perhaps one of the least-legal ways to cheat at the game, but also one of the most effective. Pick a Words With Friends cheat website. There are a bunch, but some of them are very iffy; Scrabble Word Finder is a solid choice. Type in the letters you currently have on your Words With Friends board. If you have a blank tile, use a questions mark. Some sites offer advanced options that are very helpful, like a prefix or suffix. If you know you can only play a word that ends with an S, type S in the suffix field and you'll only see words ending with that letter. Select Find Words or a similar button, depending on which site you're using. Voila, you now have a list of words you can now potentially play. If you really want to win, there are some Words With Friends cheat boards out there where you can recreate the entire board and figure out where and what to play. It's a bit of extra effort, but it can be done. There are a bunch of ways to cheat on Words With Friends that are built right into the app; for some players, this makes these options fair game since everyone has access to them. Let's dig into all the different options. These power-ups require you to use the latest version of Words With Friends, called Words With Friends 2 in the Apple App store or Google Play store. The person you're playing against must also be using Words With Friends 2 for you to take advantage of these. None of these will work if you don't have any to use. You can earn power-ups by completing daily or seasonal challenges, or by exchanging coins for packs of power-ups. You can also shell out in-app purchases to buy coins, power-ups, and even get rid of ads for a while. To buy more coins, simply tap the Coins icon in the upper right corner, and you'll be given a variety of options. Alternatively, you can tap the More icon in the lower left, then tap Store. Sure, you can swap your tiles instead of playing a turn at any time, but Swap Plus allows you to swap tiles without wasting a turn and missing out on adding any points. Tap the Swap Plus icon, which looks like a purple tile with a plus sign on it. Drag the tiles you want to swap into the swap area. You can now still take a turn with your new letters. Word Radar might be the most useful cheat in all of Words With Friends, especially when combined with the others, as Word Radar shows you exactly where you can play words. Tap the Word Radar icon; it's green with a radar-like graphic. The areas where you can play words will be highlighted in light green. Once you've activated Word Radar, it's in effect until you take your turn, even if you leave that particular game or the app. You can turn it off by clicking the Word Radar icon again. Word Radar is super handy, but keep in mind there are times where playable areas intersect. While it may look like you can play all seven tiles, it might actually be a result of two different word plays crossing each other. Hindsight can become more of an agonizing way to torture yourself than an actual cheat. After you play a word, if you have any Hindsight power-ups and there's a possible play on the board that would have netted you more points, you can use Hindsight to see what the highest scoring word would have been. Hindsight doesn't take into account whether playing a stronger word would have allowed your opponent to score a Triple Word Play or any other context. It's fun to do sometimes, other times infuriating, but not really ultimately that useful of a cheat. If you want to use it, simply look for it after you play a word. It's the blue icon in the upper left with glasses. The Word Strength Meter is a lot more than just a lightning bolt or a red exclamation point; it can be a true Words With Friends hack. It can provide you with both a gauge of how strong your play is, as well as give you a quick way to determine whether or not you're building valid words. If you see a green lightning bolt, you've built a valid word, but if you tap the lightning bolt it will show you how strong of a play it is compared to other possibilities on the board. This is often missed by players, giving you a chance to measure whether or not you can discover a higher-scoring play; again, it doesn't take into account the possibility you're opening up opportunities for your opponent. If you get a red exclamation mark, it's the game telling you it's not a valid play; but you might have the beginnings of one. Tap the exclamation mark and you'll see if you have any valid words at all, potentially revealing new possibilities if you're part of the way there. There's some debate as to whether or not this is really cheating, but it's hard to beat a straight-up dictionary. If you're using a tablet version of the app, there's a dictionary built right in. You can search any word to see if it's valid within the app. Otherwise, you can hit up the website for Webster's to see if you've found an obscure word or are spelling things correctly. It might not feel like a cheat right off the bat, but it's another tool in the box that will net you that next win.